A wonderful old heritage from 1894, the fruits of which are very palatable. 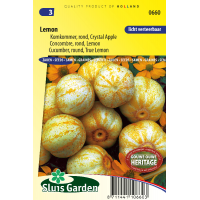 The cucumbers resemble lemons and are usually used for pickling, cut fresh and of course in salads. A very productive variety, and highly rust and drought resistant. Suitable for cultivating flat in the field and/or on string in the garden. Best to pre-sow in a greenhouse in pots of approx. 10 cm. 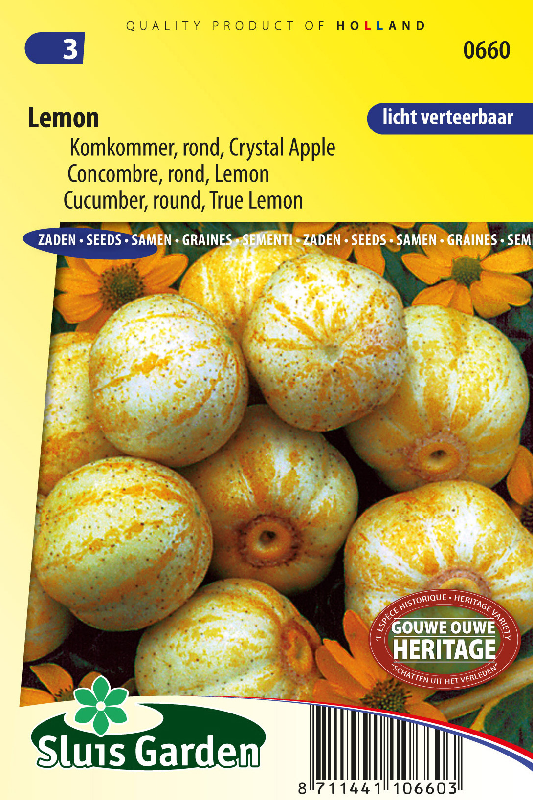 Sow directly in the garden in a sunny, well fertilized and sheltered spot no earlier than late May!